I’ve been feeling a bit “stuck” in my writing, a bit in a quandary. Usually, I write about what’s been happening in my life. But lately, I’ve been pretty quiet. I really haven’t known what to say, and I have been rather ashamed to tell what has been going on in my life, truth be told. If I were in a mess, or I’d lost something valuable, or a stranger had been unkind to me, or my life was otherwise chaotic or difficult or unhappy, I’d have a blog. Well, that’s a little deceptive. My life is still very often chaotic, and of course unhappy things happen, and there are even bits of difficulties in the best of times in this world. But I haven’t had the will to write any of that. Rather, I have been bursting to tell what has been going on in my life. But I’ve also been afraid to and, more than that, ashamed to. Because my life has been very wonderful lately. I am not comfortable with very wonderful. I am comfortable with loneliness, depression, and effort-and-failure. But I am not comfortable with very wonderful. The fear in telling comes from the idea that God might perhaps not be paying attention to how very wonderful my life has been going and take away the very wonderfulness. And the fear comes from knowing that I am a terribly (and very sneaky) arrogant person, prone to claiming every good thing in my life is somehow my own doing, when in reality not one good thing has ever been anything but a gift of grace from God. The shame comes because I know very well who I am. If there is a group of people on the face of the earth who should never have very wonderfulness in their life, I would be counted among them. I know how selfish I’ve been, how morosely I’ve flunked, how many chances I’ve been given that I’ve blown, how awful and more awful I am in ways that no one but God knows. To tell about how God has blessed my life seems crazy. I should be the one who gets eaten by a shark while buying a Coke from a vending machine, or something crazy like that. I should be punished with wild flukes of ‘bad luck’ and some kind of very gruesome death. So telling that my life has been very wonderful lately–that sounds like madness. Then there’s this realization in my head, too, that people might be reading my blog who actually know me. People who I’ve wounded or disappointed. They might be asking, How can you let her life be very wonderful, God? Don’t you know who she is? And I wouldn’t have a word to say about that except that they are right. I do not deserve a very wonderful life. I have lived lately, in fact, hoping that God’s eye isn’t on me, so He won’t see what a very wonderful time I am having. When I feel especially guilty, I have tried to make my life less wonderful. I have tried to ignore the reasons why I don’t deserve to have any very wonderful moments. I have even tried to justify these very wonderful moments by trying to find good works I might have done that somehow earned these precious seconds and minutes and days. I have tried sabotaging the very wonderfulness by failing God even more than usual. I have tried to figure out a way to somehow repay God for these very wonderful moments. And I have tried secretly enjoying them while hoping God doesn’t look. And it’s striking me, it’s striking me how ironic that Christmas is almost here. Christmas means Santa or gifts or nativity sets to some people. It used to be pretty much that way with me. Jesus was the baby with a halo: perfect, impossibly holy and impossibly good. What I didn’t see, what I guess I never realized, is that this impossibly holy and impossibly good God came down into a tiny body to lay in a bed of prickly straw and be at the mercy of sinful human beings from that point forward . . until the culminating moment when the worst atrocities in our human nature tore out of the facades we try to hide them in and crucified the Son of God. We thirsted for His blood on the cross, but we didn’t know He wanted us to drink. We hungered to see His flesh torn apart, but we didn’t know He wanted us to eat. We saw the chance, by using our worst imperfection, to murder the God who reminds us that we are imperfect. God saw the chance, by using His perfection, to give His life to make us perfect. We wanted to get rid of God’s holiness and goodness. God wanted to give us His holiness and goodness. Christmas is the miracle of miracles. How ironic that I find it so hard to believe God would give a time of very wonderfulness in my life as a Present from His Son, when He has given me the wonderfulest of very wonderfulness, everlasting life in the Presence of His Son. How incredible that so many Decembers passed me by before I knew this, and how marvelous that even now I know only a taste of this wonderfulness. I realize a great error in my thinking: I am somehow more inclined to accept God’s most radical gift of His own death so I could have eternal life than the miniscule-by-comparison gifts of very wonderful moments here on earth. I realize that I still don’t understand how incredible the cross really is, that I find it easier to believe the Son of God would die to pay for me for the wonderfulest of very wonderfulness of all eternity with Him than that He would bless me with wonderful moments with Him here and now. How astonishing that God, knowing how pitiful I am at taking presents of grace, still offers them to me moment-by-moment. How astonishing that God, in knowing how unworthy I am of the wonderfulest of very wonderfulness, does not exclude me from the gift of eternal life He offers to the world. I am learning to give in to it. I am learning to give in to the idea that grace isn’t understandable to the sinner. And that wonderfulness is still possible for even me. This might make sense if you were born in the 20th century hearing the anti-Christian argument that the disciples stole the body of Jesus. But it has big problems if you lived in Jesus’ day. Not one of Jesus’ disciples had understood this prophesy. Not one. They were all totally dumbfounded when He rose from the dead. They had completely missed out on understanding this prophesy. They understood what Jesus had said. In fact, a common theme about them in Scripture is, “They knew . .” but it is never positive. They knew when Jesus was talking about them. But instead of choosing conviction, they chose revenge. They knew who He was. The people who shook their fists in anger and didn’t even know Who they were condemning when they cried for Jesus’ crucifixion scare me. The people who thought it was their job to torture people and nail them to crosses scare me, too. But the people who knew Jesus really was the Son of God . . they scare me the most. Demons knew Jesus was the Son of God. They knew from the moment they saw Him. They recognized Him from eternity past. But this had no change on their hearts. We wouldn’t expect demons to have a change of heart. They’ve fallen from glory. But what about the Pharisees who plotted for the crucifixion of Jesus? They knew He was the Son of God. Maybe not from the moment they saw Him, but somewhere along the way, they realized who He was. But this had no change on their hearts. The demons feared Jesus when they met Him. They knew they could be cast into Hell. The Pharisees feared Jesus, too, but in a different way. They feared He could win over the crowds. I wonder at the strange silence of demons on the night of Jesus’ crucifixion. Where are they? There are none to be found in the story. Either they are not mentioned, or they were too fearful to approach the dying Son of God. Satan entered Judas and was surely striking at Christ on the cross, as God had foretold thousands of years before to Adam and Eve . . but the demons? Where are they? We don’t know and cannot say, but what we can say for sure is they could not have been more evil than the Pharisees. God can forgive a person plagued with demons. But there is one sin He will never forgive. This sin is told in the context of the Pharisees telling a lie to the people, a lie about the Spirit that filled Jesus, and it is also recorded as a warning to the crowds in Jesus’ public teaching after He has pronounced six woes upon the Pharisees (see Matthew 12:22-37, Mark 3:20-30, and as part of Jesus’ teaching in Luke 12:8-10). The Pharisees saw that He was the Son of God–and they denied Him! What fear this should strike in our hearts! What terror that humanity can become so utterly corrupt, that we can fall so far, that we can slander our Creator face to face–and when He stands before us as our Savior! The Pharisees knew Jesus was God’s Son. They knew, and they used that knowledge to try to keep Him from saving as many people as they possibly could. What horror. What Hell on earth. Did they believe He would really rise from the dead? Or did they believe the Son of God was a liar? We don’t know for sure. We do know they understood His prediction that He would rise from the dead. And we do know that they wanted the tomb sealed off. No way in. And no way out. That I should be that human. Every one of us, within us, has the power to make Hell on earth. I think we can even do worse than any demon could, because if we stand against God, we are not only standing against our Creator–as the demons are–but against our Savior–as only humans are given the opportunity for salvation. I want to shudder when I see what those Pharisees became. But I want to shudder even more at what I myself could have become. There are only two ways we can live in this world: with Christ or without Him. With Him, He fills us with His Spirit to hold back the gates of Hell from pouring from our sin nature into our lives. Without Him, we have no guarantee what horrors we will or will not do. We may find ourselves trying to hold back the Son of God with a stone and a few soldiers. And when the stone is rolled away, what we will find is that we have sealed our own tomb. Many thanks to my pastor John in his sermons on the parable of the vineyard, Answers in Genesis for background information, and my mom for her insight on the Pharisees in discussions we have had. I remember one time (I was in the range of 4 to 7 years old) I was dragging pillows and a blanket through the house and knocked my mom’s giant porcelain Kewpie doll off the shelf. It fell and had an ugly smash–kind-of how you imagine Humpty Dumpty’s was. Kewpie broke into two especially large pieces, and dozens of tiny ones. I can tell you with great assurance that there is not a lot a little kid can do at a time like this. I certainly didn’t have the dexterity to glue the pieces back together (I didn’t even pass the part of my kindergarten aptitude test where I had to catch a giant ball), or the skill to go on Ebay and buy a new Kewpie for my mom (not that there was Ebay in the 80’s anyway) or the money to pay her back (or, at that age, even any allowance). I was understandably worried about what Mom would think when she saw her heirloom in pieces. I did show her, however, and, actually, she didn’t do anything to me. That was a total “whew” moment for me, because I knew that doll was really special. As she picked up the pieces, I went back to playing (but without dragging pillows and blankets around anymore). The way I went to my mom for help kinda reminds me of how God wants us to come to Him after we sin. We can’t fix the damage our sin has done. 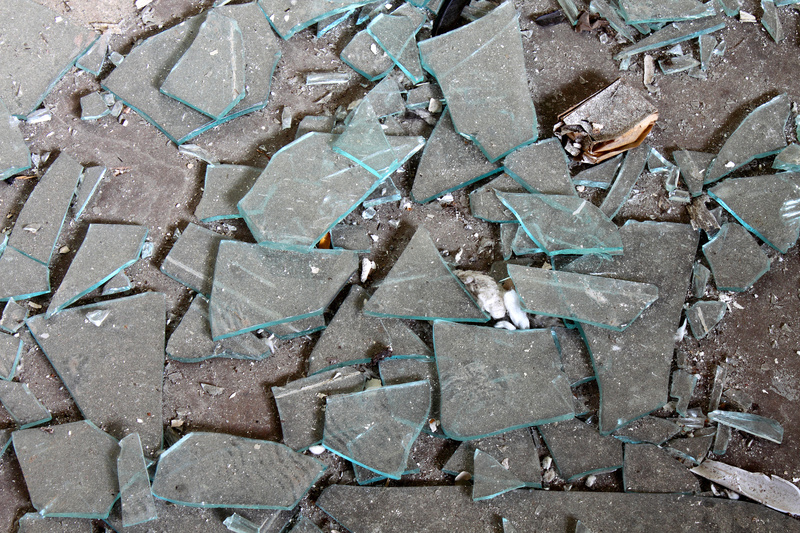 We can’t give God anything to try to pay for what our sin has smashed. We hurt God and people in ways we can’t sweep up. So we are totally at God’s mercy. God is the only one who can pick up the pieces of a sin-busted life. The reason the Gospels are called “The Good News” is because God wants to put our lives back together! He doesn’t want to punish us, but wants instead for us to choose forgiveness through His Son. As a child, Thanksgiving was one of the most yucky holidays I could imagine. For Thanksgiving, children across the United States get to make an outline of their hand and turn it into Tom Turkey. I am sure that at one time, I, too, made Tom Turkey. Tom Turkey is somehow supposed to remind us of thankfulness. It doesn’t work for me. For one thing, I do not like the taste of turkey. For another, it seems more than a bit morbid to draw a smiling turkey to remind myself I’m thankful for eating turkey. And then there is the list. The dreaded list. Somewhere on the list could be a drawing of an anthropomorphic turkey, to remind me to be thankful for eating him. And on that cheerful note, the list is titled “Things I am Thankful For”. As a child, I had the impression it was my duty at Thanksgiving to bring up what were to me the most boring, banal things for which to be thankful. I’m thankful for a house. I’m thankful for my mom and dad. As I grew up, I wondered why I had been prompted to recite such a list or listen to one be recited. Didn’t every human have a right to these things? Why did I have to thank anyone for them? Was God a stingy tyrant waiting to take basic needs away from bad children who forgot to thank Him? And anyway . . it almost seemed evil to me to thank God for these kind of things. Was I supposed to thank God for giving me food, when there was a far more worthy child in another country starving to death? Was I supposed to be happy that I had a mom and dad when children in orphanages around the world waited for a family of their own? It didn’t seem right. It seemed like I was bragging about what God had done for me–and even back then I saw myself as a selfish and undesirable child–in the face of beautiful and precious children whom God had not done the same for. When I thanked Him, was I thanking Him that He had chosen my name out of a lottery to bless, when another little girl would be “cursed”? As I grew, Thanksgiving became more sickening to me. I looked forward to sales and time-off the next day far more than the actual holiday. When my father became ill, the idea of Thanksgiving almost altogether revolted me. It became sickening to think of saying in some loud voice in a classroom somewhere, “I’m thankful that God gave me good health”–when my own father’s body was falling apart before my eyes. The animosity that built up in me was far beyond disliking the drawing of a smiling turkey to represent the one I’d be eating. I was growing an underground hatred toward God. I had dutifully thanked Him for things in a rote prayer for years and years–and how resentful I was! I was thankful for just about nothing, and what I was thankful for, I gave full credit (secretly) to people. I was thankful for friends and family and how they helped out–but I wasn’t thankful to God for sending them. In my heart, I wondered, Why should I be thankful to God for allowing people to do the kind things they wanted to do anyway? I saw God sometimes as a love assassin, just waiting in wrath to cut people off from the love they wanted to share with me if I wasn’t grateful enough or if I didn’t worship Him enough. When my father died, my pretentious thankfulness died, too. In my mind, I was no longer the one drawn out of the lottery to have a good life. I could no longer thank Him for my parents. In my heart was a very strong urge to say, Adios, God. And so I closed thanksgiving in my life. I thought I could do just fine without Tom Turkey–or his weird thankfulness. Looking back on that time in my life, even though I am not at all who I used to be, I wouldn’t disagree with my thinking about Tom Turkey. I haven’t drawn my hand print on construction paper to turn into a Tom Turkey in years. And I don’t feel like I’m missing out because I no longer give weird-thank-yous to God. But what I didn’t realize back then was I’d given my judgement about thanksgiving based on a holiday every fourth Thursday in November . . on rituals and compulsions and misunderstandings . . and not on the everlasting holiday that comes from walking in the garden of God’s love. Thanking God for food, water, shelter, family, friends, etc. simply doesn’t make sense if you believe (like I did) that He is eager to withhold these things from people He doesn’t like. One of the most curious–and absolutely, totally indisputable–things about God in Scripture is that He is deeply moved by the living conditions of the poor, needy, and oppressed. Reading even just the short book of James will prove this to anyone who doubts it. Look again at that “dreary list of things to be thankful for” I made as a child: food . . water . . shelter . . parents. Was I really thankful? Not a bit. It was a contrived effort to conform to what to me was a ritualistic holiday or state of mind. Look at the last item on the list I’d made: parents. The truth is, I wasn’t any less thankful when I lost my father than when I had him with me. It isn’t that I didn’t feel a grief from separation from him, but I had never been thankful for him. I didn’t know how to be thankful for him. Though I used his death as an excuse not to be thankful (for just about anything), the reality is, I hadn’t been thankful for him when he was alive! All gifts in our lives are like flowers grown in a desert. When Jesus was on earth, one way He revealed God was as the most masterful Gardener of all time. Though our lives are not like a fertile garden, God still comes to our wasteland of sin to plant good gifts. When we try to pull a gift up from God’s love so we won’t have to acknowledge or thank Him, it is like pulling a flower up from the ground. Any gift, not rooted in God’s love, will soon wilt and become nothing more than the dried remains of something that was once beautiful. The reason Thanksgiving meant nothing more to me than a hand print turkey with a contrived list of gratitude was because thankfulness meant nothing more than to me than a holiday with lots of food, or something you pretend you have so you can keep God from stealing gifts from your life. Well, Tom Turkey and list-making are still booted out of my life . . but not thankfulness. I still walk through the wasteland of what used to be the sum total of my life when I didn’t love God. This wasteland is all my sin, all my disappointments, all my failures, all my losses. But now I stop to look at the flowers. Every gift is exquisite: a daffodil, chrysanthemum, alstromeria, poppy, daisy, bouvardia, marygold freesia, larkspur, honeysuckle orchid, lily, sunflower, queen ann’s lace, heather, star flower, anthurium, tulip, bird of paradise, hyacinth, king protea, lilac, snap dragon, pansy, goldenrod, meadowsweet cypress, dianthus, wisteria, hollyhock, lantana, foxgove, gardenia, angel’s trumpet, partridgeberry . . and on and on and on . . each a different sort of beauty, all alive and rooted in Him. And most of all, greatest of all, the rose of knowing Christ. I once held my gifts like a bouquet in my arms, clinging tightly to them, fearing God to steal them from me. Now I let them grow roots way down deep in His love, where they were always meant to be. Here I thank God for my father, a gift that keeps blooming in my life, because now the gift that was once dead in my hands is alive in Christ. (I am not talking about my father himself, but the gift of God giving me my father to be my father.) Before I knew God’s love, I couldn’t be thankful for wilted gifts held limp in my arms. Now that I have planted them in Him, I see how beautiful they really are. Rather than fear God will rip these gifts out of my arms, I am learning to fear instead that I will rip these gifts out of His love, claiming them for myself rather than marveling at the wonder of what they are in God. Now I see that the poor, the needy, and the oppressed are not so because God has delighted in it, but because He is giving the world time to repent–even the greedy, power-hungry, and cruel people within it (and by the way, we are all guilty of that description, to one degree or another). God wants everyone to experience the eternal garden of His love. Once He brings justice to our world, our opportunity to have faith in Him will be over, for we will see Him as He is and it will either bring the greatest joy or the worst terror to us. God allows the gross misappropriation of wealth and power to continue for now so that everyone–the poor and rich alike–can have more time. He allows the suffering and death that sin brings to continue for now so that everyone–healthy and dying alike–can have more time. God knows that the overwhelming beauty of Christ can change even the most parched and thorny dust into garden-ready ground, and He is giving everyone in the world a chance to see this, too. I don’t dread thanksgiving anymore. Just the opposite. Rather than wait for the fourth Thursday of every November, I can thank God every second of every day. Not by pretentious prayers or a long list in my neatest handwriting . . but by delighting in every precious flower God has grown in what was once the utter wasteland of my life . . and delighting even more in the God who grew them. Tags: dreading thanksgiving, feeling thankful, not feeling thankful, not feeling thankful at thanksgiving, thankfulness, thanksgiving, turkeys, Why do we draw pictures of cute turkeys when we're going to eat them? The idea of looking through a keyhole and seeing another world does something for me I can’t tell in words . . I tried to fill that longing in many ways as a child, a teenager, and an adult . . all grievous to me now. I had such an urge to be in a different world, to be somewhere I’d never explored, somewhere mysterious where I wasn’t yet known . . somewhere where I could be utterly free from the chains of this world. I desperately wanted to be somewhere else, but I didn’t know how to get there. I immersed in the waters of make-believe, and then I submerged myself, and then I dived in so deep I forgot I needed to breathe . .
Down at the bottom of the depths of all make-believe promises to offer, I found only poorly-constructed sand castles . . changing form each time an undercurrent hit them . . but all with doors, all with keyholes, all with the excitement of buried keys. I would look through the keyholes, content not to breathe, wondering where the water worlds within the doors led. But every time I found a key buried in the muck at the bottom of the sea, every time I was sure my search had ended . . I always opened the door into a dark, sandy dungeon that was nothing it had promised to be and everything I had always feared. I kept searching through keyholes. I kept searching. But I never found what I was seeking. One day, I was pulled to the surface of the water. It wasn’t anything I had expected to happen; it wasn’t anything I would have even known to ask for. Yet a great mystery pulled me up from the depths of my make-believe, a great mystery I knew only later to be the love of a Savior for a drowning sinner. And so I gasped in the air of reality for the first time in many, many years. I was so shocked by what reality looked like that I began to lose interest in diving back in make-believe to search for imaginary keyholes. The more I saw of reality, the more I realized almost nothing was as I had thought it was when I had been drowning in make-believe. I realized my life under the sea drowning had been meaningless. I was confused, alone, and far, far from any beautiful world I had so hoped to somehow get to. I didn’t know what to do, but I now had lungs that took in reality. The air I breathed at the surface was not immediately comforting to me . . this was a world I did not know. Above the surface of all I had ever wanted in the depths of the sea, I saw nothing I had been looking for . . and yet exactly what I had always needed. 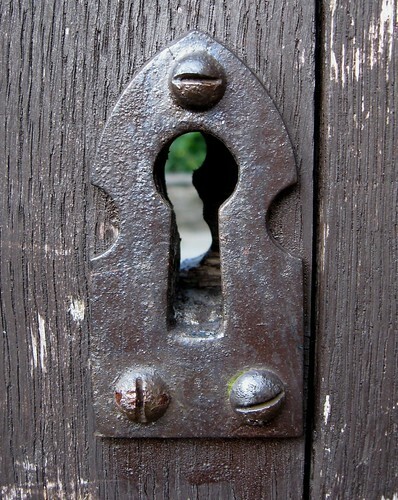 For here was the one keyhole I had always needed to look through. But that seemed almost impossible in this world. Around the false sea of my imagination was a thin, hostile shoreline where nothing grew. There could be no sunlight because of a wall, the tallest wall I had ever seen, a wall that surrounded the thin shoreline of my lonely, lonely world. The wall reached so high, it was as though it never ended in the sky. Far more so now than even then, I see what a strong, thick, unmoving, and infinitely tall wall it really was. It was the wall of my sin. The wall of hopelessness. I had no chisel to chip away at the wall to see what it was blocking, nor any hope that even if I had a chisel I could have made so much as the tiniest scratch in its surface, even if I’d had all eternity to do so. But it was not all hopeless above the bottom of the sea. There was something about this new air that was very appealing to me . . as if I had been meant to breathe it all along, as if this was the real world, and that down below was nothing I had ever really been wanting . . I had only thought I’d wanted it from lack of air. I’d been dazed . . darkened . . comatose . . and now I was breathing, treading water, and beginning to be frightened that I might be drawn back into the depths of alternative reality. At first, there was wonder. But then, there was fear. And panic. And dread. I still did not look forward to life. I had always thought reality was disastrous; what I saw from the surface seemed to prove it. There was the wall . . the wall I could never move, could never change, and did not know how to get through. It was a self-made wall, and yet I didn’t know how to tear it down. It had been built stone by stone by the poor choices of my broken character, and yet I could not fix anything about who I was . . I wanted to go back to the shadows of the bottom of the sea and work again on who I pretended to be . . that was comforting . . and yet, it was not . .
And all the while, in the impossibly tall, impossibly thick, and impossibly hopeless wall, I could see a taste of sunlight streaming through a keyhole. The keyhole was the Word of God. I wanted to look through that keyhole. I wanted to know what was on the other side of my wall. I wanted to see more of the sunlight that streamed through the keyhole. I began to look seriously at the character and claims of and about Christ Jesus in His Word. I found a mystery I did not expect. I had always seen Christ as very easy to understand: God who chose to die. Now I saw the greatest mystery of all time: He is God who chose to die. What had seemed so surface-level when I had been at the bottom of a false sea now became the greatest mystery of all time. But the great and impenetrable wall of my sin was utterly surrounding it, entirely blocking my view all this time, except for the sunlight that streamed through the keyhole. All the time I had been hopelessly under the sea, searching for keyholes in the bottom of a black sea, I had been missing the one keyhole at the surface where true Life was behind the door. Even now that I was at the surface of my dreadful sea, treading the water seemed to do no good except show me there was a terrible wall blocking everything good from my life . .
. . save for the keyhole. Curiosity, panic, heartache . . and the hope of what I might see . . nudged me to stare at that keyhole, on that wall, that wall far away from the waters in which I dwelt. I felt too fatigued to swim closer to the bank for a better look, but I could see the keyhole even from my distant vantage point . . and though the sunlight seemed so far away . . I began to read the Word. As I began reading, little by little, a most marvelous thing happened . . I was pulled toward the shore, drawn closer to the keyhole. Before I realized what was happening, I was standing on the shore, face to face with the vast, stone-cold wall of my sin. I would surely have jumped back in the waters to drown if I hadn’t been able to see something else, too . .
the sunlight of God’s love streaming through the keyhole. I peered through the keyhole at the wonderful light. . at first it was very fuzzy, since my eyes weren’t accustomed to the sun . . I wasn’t sure what to make of it, or if it meant anything at all for my life . . but I was drawn to look more. As I looked more intently . . as I began to believe what God’s Word said about my sin and about Christ . . I became captivated to the still-blurry world I could see on the other side. I began to long to see the world on the other side of the keyhole, and that longing over time became greater than I had ever longed to see anything beneath the sea. The more I read the Word, the more I wanted to seek God. As I began to seek God, I began to see through the keyhole more clearly. The more clearly I saw through the keyhole, the more I wanted to read the Word. The world I saw through the keyhole was nothing I had ever expected to see. I saw love–real love, slave-freeing love, everlasting love. I saw God on a cross, held up so all the world could see the reality of His love, His slave-freeing love, His everlasting love. Something very strange began to happen to me. Rather than believe, as I should be expected to believe, that I could never, ever enter that world . . I began to believe more and more that I could. As I looked through the keyhole of God’s Word, I saw a world I knew I could access by only one key. I began to realize that this very key had been placed in my hand . . placed there by the nail-scarred hand of Christ. He had given me Himself. No longer did I have to drown. No longer did I have to look at that fearful wall. I could enter through the door, if I placed the key in the lock. Though the lock was the lock of Justice, it could be opened by the sacrifice of Christ. As soon as the key of Christ was fitted into the lock, the gates of mercy gave an awful creak, the bottom of the sea shrieked as though to swallow me whole . . and the gates swung open wide. I entered in and saw what no sinner ever deserves to see . . The shores of God’s grace. It is a world so beautiful that not in the most extraordinary dreams of hope could I have imagined for one moment anything to compare to this world of ultimate wonder. It is the world of knowing Christ. And it is waiting. Not for just me. But for anyone who seeks to open the gates of mercy with the key of Christ. The quest has fallen into almost total disaster. The fellowship of 9, allied to bring the essence of evil (the one ring) to the heart of Mordor to destroy it, had shattered. The leader, Gandalf, had fallen in an underground mine just when it had looked as though he’d won his fight with the balrog demon. The once honorable Boromir had become overcome by evil, and, in desiring to steal the ring for himself, caused the ringbearer to flee. And Boromir had died trying to make right what he’d done wrong–bringing the fellowship down to 7. The rest of the fellowship had crumbled. Aragorn, the new leader, was an unlikely choice. He was heir to the throne of Gondor, but wanted nothing to do with any kingdom. He was a ranger, a fugitive from Sauron’s eye, and he wanted to stay that way. And what of the others? Legolas and Gimli, feuding elf and dwarf, had a history of racial distrust between them. Two of the hobbits, Merry and Pippin, had been captured by the enemy and kidnapped to who-knows-what end. And the other two, Frodo the ringbearer and his gardener–both hobbits and as such the smallest of the peoples of Middle Earth–had escaped into Mordor with the one ring that could destroy the entire world. So the quest has fallen into almost total disaster. The fellowship is split up and the plan is unraveling. Aragorn has no idea how to bring the fellowship back together, or if there is any hope that naive and timid Frodo–oh, yes, and his gardener, as if that could matter-can possibly outwit Sauron, sneak past droves of orcs, elude the nazgul, and survive in the wastelands of Mordor to complete the quest. Aragorn–with dwarf and elf with him–struggles to catch up with the uruk-hai who have captured Merry and Pippin. Aragorn refuses to stop to eat or even sleep. Just when they’ve narrowed the gap and it looks as if they might catch up, they learn that the entire band of uruk-hai was killed the night before by a band of men. They rush to the sight of the battle and find it abysmal: carcasses piled high for burning, and the head of an uruk-hai on a stake to mark the death scene. On the smoldering death pile, they find a belt of one of the hobbits. In a rage of frustration, Aragorn yells and kicks a helmet from the pile. In that moment, it looks as if the whole quest was worthless. There’s no way Merry and Pippin are alive. Boromir’s brave death was useless. It doesn’t even matter if the elf and dwarf get along. And what chance does Frodo and his dim-witted gardener have to make it through the fierce iron gates of Mordor, anyway? . . Anyone who knows how the story ends can smile here. Merry and Pippin have actually escaped into the forest and met up with Gandalf, who did not die from the fall but fought the balrog and won. Boromir’s change of heart did matter. Legolas and Gimli are becoming lifelong friends. Frodo’s “dim-witted gardener” will rescue him from a spider so monstrous it could frighten away an uruk-hai. Aragorn will draw Sauron’s eye to himself so that Frodo can slip past the enemy without notice. The ring will be destroyed. The quest will be completed . . But when Aragorn kicks the helmet, he doesn’t know any of that. He, like us, lives in the present. He doesn’t have foresight or any such gift. All he sees is the frustration of seemingly bad luck and the anger of personal failure. He could have, at that moment, disappeared back into the wilderness and become a mysterious ranger again. Or he could have even fallen on his own sword. He could have kicked more helmets or cursed his friends or just laid down to rest after days of traveling without sleep. But instead, he pauses, just for a second, and he notices something he did not notice before. A slight slope in the ground in the shape of a hobbit. Realizing one of the hobbits lay on that exact spot, he begins to do something he hadn’t been dreaming of doing when he kicked the helmet. He begins to search again. And this time, he does not stop at the burn pile. He tracks the path the two hobbits took. And he discovers that the path leads him to the brink of a forest. And on goes the quest that, only a few moments before, he’d just about given up on when he kicked the helmet. We all have times in our lives where we feel like kicking the helmet. Times where it feels like evil is just going to win, and there is nothing we can do about it. Times where our lives feel worthless and useless. Times where we want to throw our hands up in despair and give up. But at that very moment, there is always, always a trail that leads us to Christ. The question is not whether or not it is there, but whether or not we will look for it. The difference between hope and despair is that hope looks for the trail . . despair is too busy kicking at the rubble of something dead. In all times, there is a way that leads to Christ. And it isn’t clues that only a ranger could pick up. The way that leads to Christ is unmissable. It’s at the foot of a cross. Tags: almost missing the most important, Aragorn, Does God exist?, Lord of the Rings, searching, searching for answers, searching for God, Two Towers, Who is Christ? Why we bow our head when we pray . .